Home > Supplier > LUXI Group CO., LTD.
LUXI Group is a large state-owned enterprise established in 1992 with its origin as Luxi Fertilizer Plant. 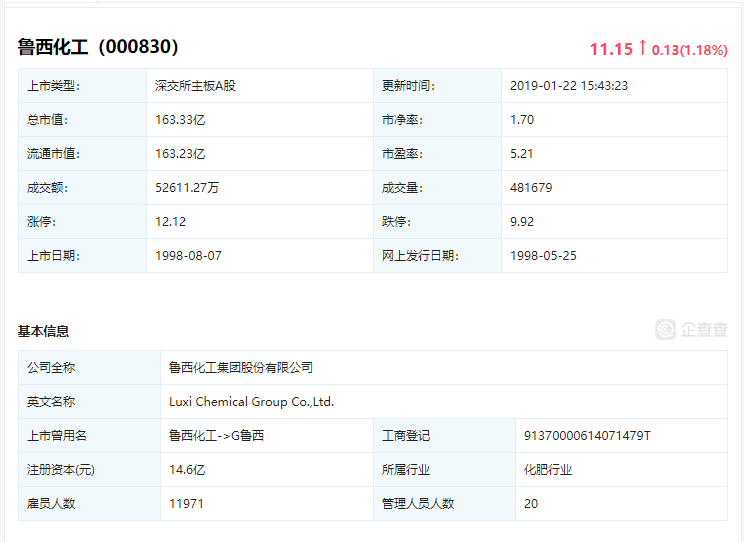 In 1998, Luxi Chemical Group Co., Ltd. was founded and went public at Shenzhen Stock Exchange with the stock code 000830. With a total asset of 25.8 billion RMB and over 13,000 employees, LUXI Group is involved in many industrial fields such as Chemical, Fertilizer, Chemical Equipment, New Energy Equipment, Chemical Engineering Design, R&D and Finance. It has established a state-level technical center and got dozens of honors like China Labor Award and China Chemical Technology Innovation Model Enterprise.